I’ve written about the Chase 5/24 guideline several times, including this post when Chase first officially acknowledged its existence in writing. In short, if you have been approved for 5 or more cards from any bank in the past 24 months it can be tough to get approved for most (though not all) Chase credit cards. There are exceptions, such as pre-approvals online or in-branch. Having a Chase private client checking account used to work to get around 5/24 but as of December that has gotten much tougher. You can check all 3 of your reports (Experian, Equifax, and Transunion) for free on annualcreditreport.com to see how many cards you have that have been opened within the past 24 months. Business cards from AMEX, Barclaycard, BOFA, Chase, Citi, and USBank don’t show up on your report and don’t count towards 5/24. 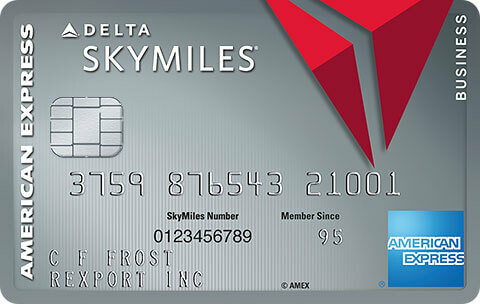 Spending on these cards also won’t affect your credit score as they’re not on your report. Business cards from Capital One and Discover do show up on your report and will affect 5/24. Authorized user cards are where things get tricky. The system automatically counts them towards 5/24. Even if you call reconsideration they will turn you down for 5/24 based on having authorized user cards that were opened in the past 24 months. However if you tell the reconsideration rep that you aren’t financially responsible for the authorized user cards then they will not count them towards 5/24. If you have any issues you can ask for a reconsideration supervisor and tell them that you aren’t financially responsible for the cards. You can HUCA if you are still denied due to authorized user cards. Store cards that are only good for use in a single store are also tricky. The system will count them, but you can explain to a reconsideration rep or supervisor that the card can’t be used anywhere but that store and shouldn’t count towards 5/24. This may require some HUCA and may be more difficult than having a rep disregard authorized user cards. Even if you are at 4/24 (opened 4 cards in past 24 months) people have had success applying for and getting approved for multiple Chase cards as the 5th approved card hasn’t appeared on their credit report yet. It’s always helpful to know beforehand exactly how many primary, secondary, and store cards are on your report before you call reconsideration. “Applied online (For the Chase Sapphire Reserve) on Jan 8, got the rejection letter in the mail yesterday. I called last night and spoke to a Recon Rep who told me I was at 9/24 but would not tell me anything else and suggested that I re-apply at a later date. I knew I was at 8/24 but with 2 store cards and 2 authorized users. I stated this to the Recon Rep but he refused to reconsider the denial. At that point I took Dan’s advice and asked for a Recon Supervisor. I explained my case for reconsideration stating that there were 4 cards that should not count, which would put me at 4/24. After taking some time to re-review my application, she approved me with shifting some credit from my Chase British Airways card. All in all took about 1 hour on the phone with Chase but was worth it. “My father is well over 5/24 with AUs and under 5/24 without. Applied (for the Chase Sapphire Reserve), had him called and told him exactly what to say. The rep said “sorry due to number of cards open in past 2 yrs we are unable to approve you”. So he reads his part of the script, after a bit of stumbling he finally says the line I told him to say: “But I am not financially responsible for the authorized user accounts”. Then the rep goes “OK that’s gonna change everything then”. 33 Comments On "On The Topic Of Chase 5/24: Here’s What You Need To Know About Additional User Cards"
I’m a private client with chase for several years and I’ve opened quite a few cards in the past couple years and just applied for the ink card with the 80,000 bonus and was declined because of 5/24 and they wouldn’t budge and Banker said nothing can be done. Dan – When you say about CPC “as of December that has gotten much tougher,” it seems to imply that there’s still some wiggle room. I had the same experience as Yossi, applying for CSR a few days after the new policy, and multiple HUCA’s didn’t help – the new policy is CPC doesn’t get special recon if denied for 5/24 (and I’m 20/24!). Any techniques or suggestions how to get around it (other than pre-approval)? 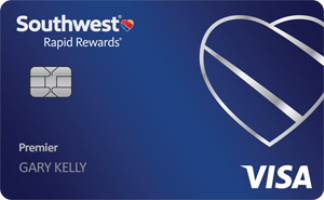 what is the phone number to call for reconsideration for the chase reserve card? Real 5/24 or AUs/store cards in there? So the 5/24 rule is in regards to how many cards you OPENED in the past 24 mo NOT how many cards you Applied for? I was made an AU on one my wife’s cards but it didn’t show up on the CR, so can I assume that it’s not a problem? 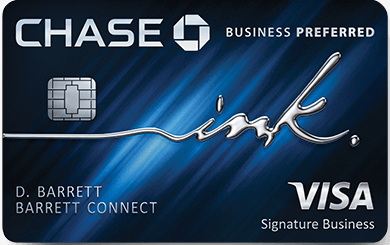 if im over 5/24 can I still apply for the ink preferred since chase business cards don’t count towards the 5/24? My wife has 5 in the last 24 months. 3 of them were opened 2/15/15 and have been closed. I am trying (so far unsuccessfully) to get them to overlook those since they are basically 24 months ago. They keep saying its a rolling 24 months which would require her to wait until March. The denial letter was written Jan 9. I am wondering if we call back in March if they will still accept the 100k offer originally applied for even though they are saying the offer is only good for 30 days from when the letter was written. If you let them know that you don’t use the additional user card they will not count it from my experience. Would chase let me mover over few thousand dollars credit from my personal card to my business card? Does anybody know if I ask for my annual credit report today only from 1 of the 3 credit agencies, can I get another report from the others a few months later or I have to wait a year ? @Dan, are you sure Barclays business cards are not being reported to the personal credit bureau? I canceled out all my Chase cards for this reasons. 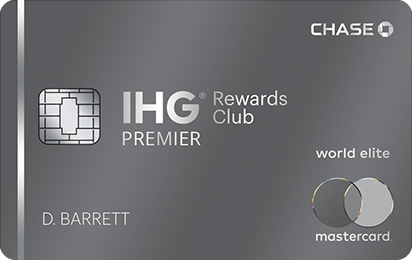 If I’m over 5/24 will chase approve me if I move credit from another chase card or just a waste of time? IME they could mistakenly consider a closed AU card then reports as terminated as individual. an individual card should appear as closed and if report says terminated it means it was only AU. in some cases it took me 2 SW to clear this. Dan/All – I am at 4/24 if Chase does not count 2 “involuntary” cards issued to me. One was Fidelity switching from AMEX to Visa. The other was Costco switching from AMEX to Visa. These new cards do show up on my credit reports. Any idea if I can get a Chase card approved? If initially denied, will a Recon call help? I got denied, went to the branch to talk to the blanket, she called the CC department, I said I was a AU on two of the cards, and not financially responsible. He said they would reconsider. As of December Chase removed the pre-approvals in branch options and everything is a straight application for the bankers as well as CPC will not guarantee approval. Do all three credit reports include closed accounts? A few months ago, I requested one credit report. I don’t remember which one it was, but the notes I took didn’t include closed accounts. I just requested Transunion, which did include closed accounts. The chase ink business will not count towards 5/24? And if I am above 5/24 I can still be accepted? My credit report is tens of pages long and it’s not in order of most recently opened. So how do I figure out how many I opened in the past 24? Do you have any reason to think that Dan shouldn’t be sure of what he wrote? @Sam9: afraid its a waste, cause 5/24 is a separate thing from having too much credit with Chase. It’s much tougher, but there have been exceptions made. They don’t count towards 5/24 but they are subject to 5/24. Not easily, but it’s possible. They shouldn’t be on your report. Unlikely, but there have been exceptions. Sure, just explain the situation. Hello! There are no Chase branches in my state. Does anyone know if it’s possible to phone a particular Chase Branch for the 100,000 offer or do you have to apply in person to receive that 100,000 promotion? A called a few branches and they all stated I could not apply with them over the phone and then directed me to the online, albeit lower offer. Any insight? Thanks. if the primary card was opened more than 2 years – will this also count towards 5/24 ?